Our pick of the best Playmobil sets to get their imaginations running. Playmobil is an undoubted toy classic, and kids are never disappointed with getting a brand new Playmobil set. First sold in 1974, today’s sets maintain the same heritage as the originals, with 3-inch figures available along classic themes from knights to dollhouses to police. These days, the array of Playmobil sets is overwhelming. There are expensive kits which include numerous figures and toys, perfect for a Christmas or birthday present. Meanwhile, smaller sets at more affordable prices are ideal for your little one’s friend’s birthday or as a summer holiday treat. Few toys have the power the imagination like this: they’re a guaranteed winner. With so many to choose from, we’ve picked out the best Playmobil available right now. Read on and we’ll reveal all. 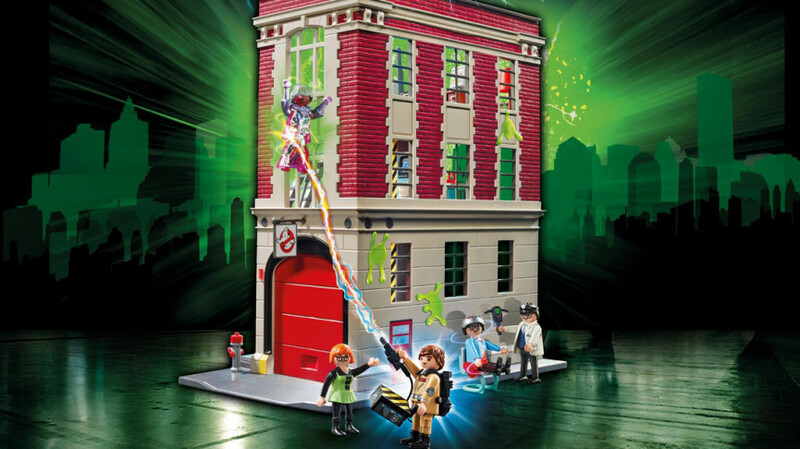 Like its big rival Lego, Playmobil offers a series of ace tie-in sets with the classic movie Ghostbusters. The range is extensive, but this is undoubtedly the pick of the bunch, a take on the Firehouse, which the characters use as their base to fight the apparitions and poltergeists of New York City. It comes with five figures in the box: Ray Stantz in full Ghostbusters regalia, Egon Spengler in his iconic lab coat, secretary Janine and Keymaster Louis Tully, plus the classic Library Ghost from the original movie. Inside you’ll find a lab on the first floor, space for the Ecto 1 Ghostbusters car (sold separately), a ghost containment unit in the basement and a fireman’s pole down, which figures can slide down and get ready for action. 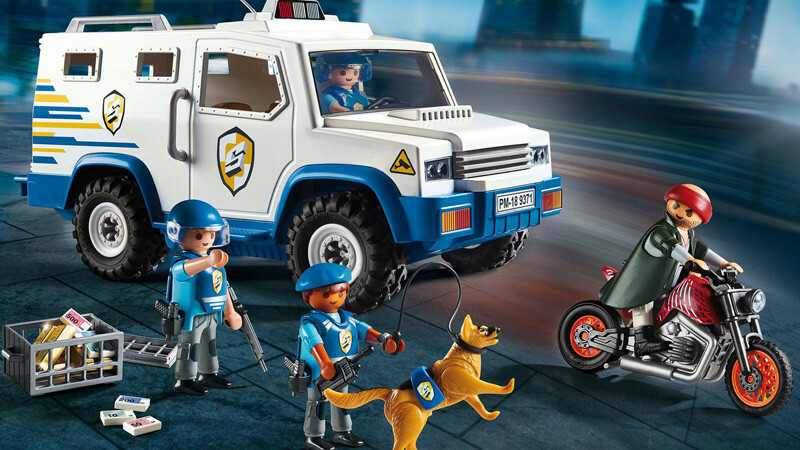 Playmobil’s Police range has been going strong ever since the brand first emerged onto the scene over 40 years ago. And its current line-up is a sure-fire winner for any kids who love to play cops and robbers. This Money Transporter comes with a truck, three police figures and a getaway bike with a baddie on board. The main truck’s rear doors can be opened and money stashed there ready for a heist to take place. Best of all, two of the figures can switch from good guy to bad guy by rotating their heads 180º and taking off their bullet proof vests. A police dog completes the scene, with your kid’s imagination ready to do the rest. When it comes to toys, dinosaurs never go out of fashion. And Playmobil’s Dino range does a a great job of creating an entire world based around a certain classic film without ever mentioning it by name. There are good guys and bad guys in this fantasy universe and the figure here can switch between the two by simply rotating his head. The evil faced baddie even has eyes that glow when lit by UV light. 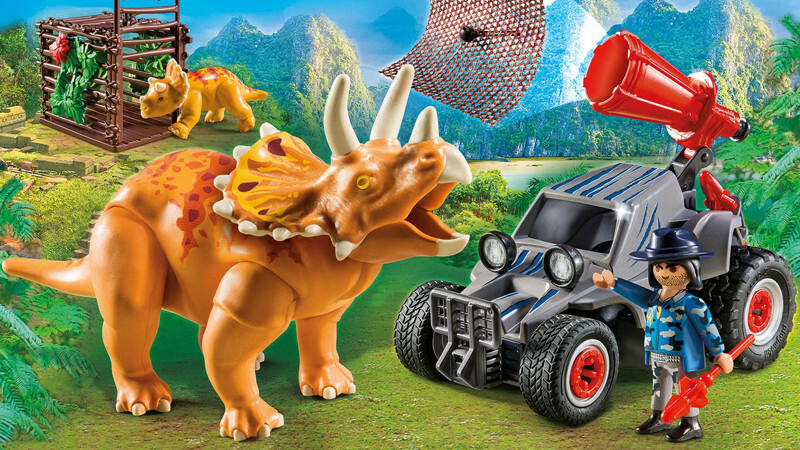 It includes a quad bike with removable roof so the figure can drive as well as stand outside, plus a dedicated Net Cannon designed to trap and cage the triceratops which also comes in the box. Off-road wheels mean it can handle all surfaces, from laminate floors to carpet to sofa. Another tie–in, this set is part of Dragons range. Based on the Dreamworks–made CGI series of the same name, there are a growing number of kits featuring the best-loved characters from this mainstay of kids’ TV. 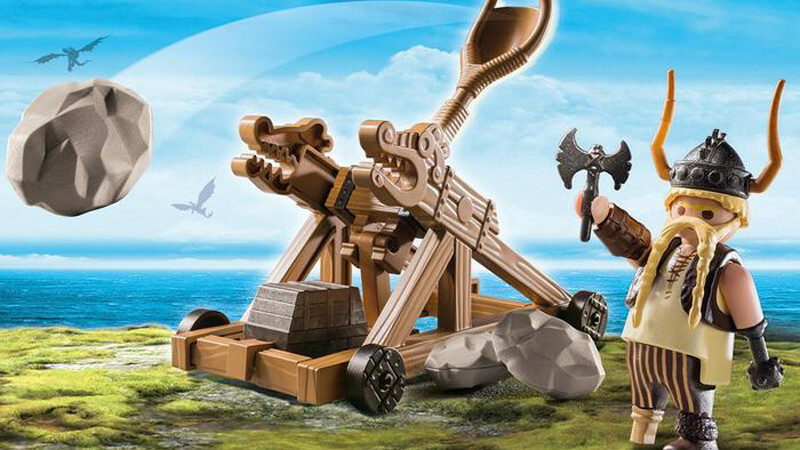 This set includes the blacksmith Gobber and his boulder catapult, built to defend the island of Berk and its residents from the evil Drago and his plan to capture the dragons that live peacefully among the humans. This set is a great, affordable way into the Playmobil world and is the perfect starting point for a Dragons collection, with everything from Drago’s Ship to Berk itself available. It’s just one of 11 current sets. Playmobil might offer a number of more complex kits aimed at older kids or built around a theme. But that doesn’t mean that younger toy fanatics need to miss out. Its 1.2.3 range is aimed at pre-school children and comes with smaller figures and bright parts which will get imaginations whirring and help with everything from counting to learning colours. This Tractor Trailer is a solid bet for a first-time Playmobil set. 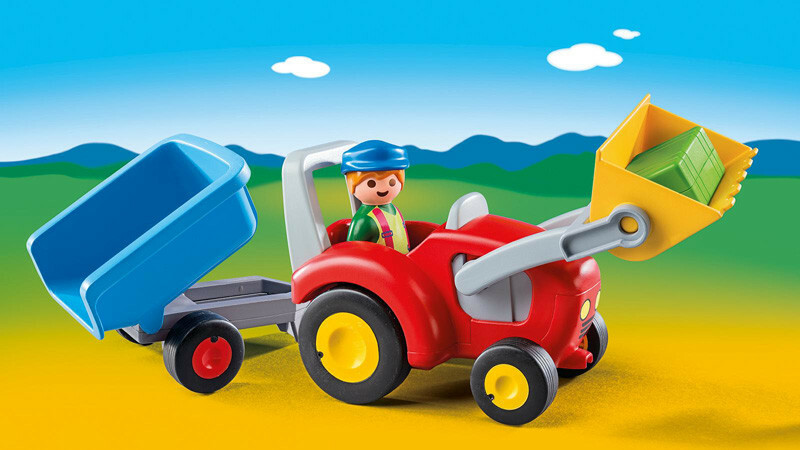 It comes with a rear trailer and shovel, plus a single figure which can sit inside the bright red tractor. It forms part of the bigger My Take Along Farm, sold separately. There might be snazzier Playmobil sets on offer. But when it comes to offering old–school looks and giving kids a taste of one of the toy world’s greatest creations, this is a hard one to beat.